The Carron range of cast-iron surrounds from JIG have been crafted to beautifully compliment any traditional fireplace. 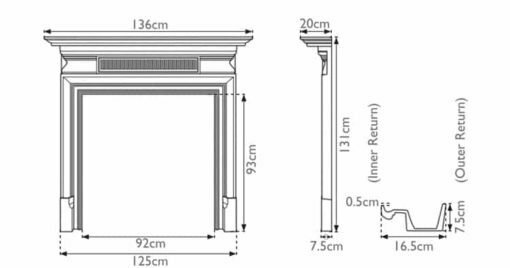 The Carron Belgrave 54" surround fits this criteria with its ornate detailing on the inside of the legs and across the header. Steeped in history, surrounds may have changed over the years, but the concept remains the same.